RUNWAY STARS Super Star BRENLEE BLADO! WOW WHAT A BEAUTY!! 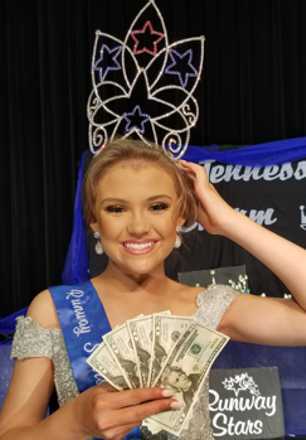 SHE RECEIVED A ONE YEAR CONTRACT WITH BNA KIDS AGENCY AND $100.00 CASH ONSTAGE! !And just as we were leaving I heard the train horn blowing - my Dad was an Engineer and I felt like that was him! Our next Pageant at the Carroll County Civic Center,AUGUST 11, 2019 - TOP MODEL BEAUTY PAGEANT - Your photo could be featured on our web page.